Christmas in July is a MELT staple. Whether or not anyone joins us, no matter how hot it gets or how busy we are, come snow or sleet, you can count on a very merry MELT holiday. But this year's was definitely a new level of awesome. We sent out a call to the businesses of the Near Southside, inviting one and all to join in the festivities, and they resoundingly answered, contributing awesome products and their own unique flair to the celebrations. All the way up and down Magnolia, our friends were serving and enjoying Christmas treats and jamming to holiday tunes. With a high of 102 degrees, some may have felt like the weather outside was frightful, but no one could deny that the day itself was nothing short of delightful. 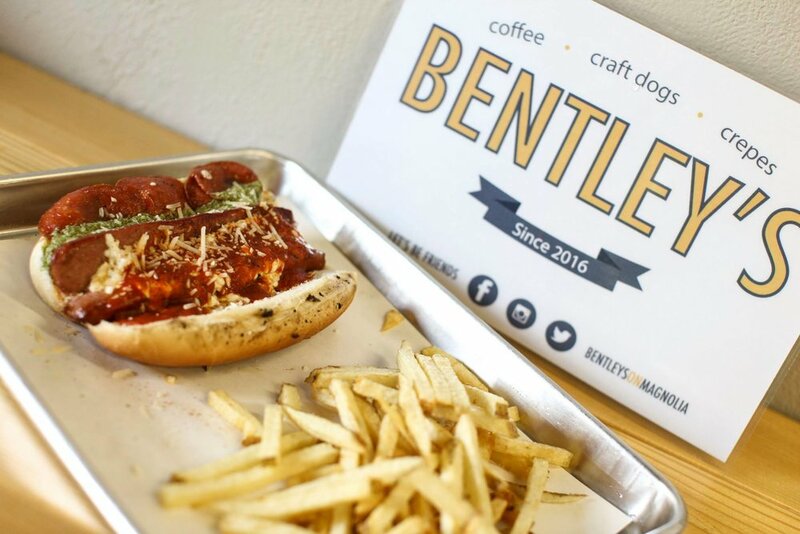 Bentley's, Fairmount's brand new purveyor of craft hot dogs and crepes, created some special menu items for the day. Ellerbe's Fine Foods and The Grand Cru both had special wines available. Neither Grand Cru's rosemary, cranberry sangria nor Ellerbe's dessert wine disappointed. Cannon's Chinese Kitchen and Shinjuku Station brought some multicultural sweets to the day and served this strawberry cake, which is a staple of Chinese Christmas celebrations. Other awesome sweets came at the hands of FunkyTown Donuts, Hot Damn Tamales, and Stir Crazy Baked Goods. The Bearded Lady and Cat City Grill also offered some seasonal drink options. Bearded Lady offered a Ginger Stout and a Martin House Brewing Company beer, aptly named Christmas in July. Cat City ran a special on wine and even had a full turkey dinner! And then, of course, there was MELT. 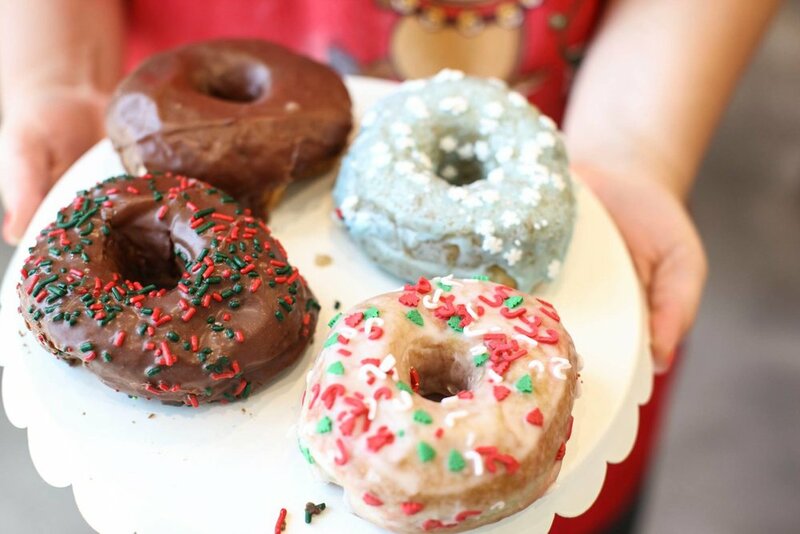 As usual, we did an entire menu overhaul, adding beloved Christmas flavors such as Santa's Little Helper (kahlua), and Rudolph's Dreams (vegan dark chocolate and cranberry). We also created an unbelievable Christmas Sundae that included three scoops of ice cream topped with house made Mexican hot chocolate fudge sauce. Christmas in July 2016 showcased all that we love about our neighborhood. Fairmount businesses know how to support each other and party together like no other, and every single time we get to experience this community, it's magical. Our street was overflowing with Christmas cheer and we are still feeling that glow. Stay beautiful, Southside, and until next year, may there be peace on earth and goodwill towards Magnolia.